Imagine spending your school half-term week with a forgetful relative who always leaves money scattered around the house. Would you pinch any? If so, when, and why? A new paper suggests that we are most likely to “cheat at the end”, and uses a neat method to find out why. A number of theories predict we are likelier to cheat later than earlier. Perhaps we award ourselves moral credits for being good earlier, and later spend them like Catholic indulgences for guilt-free sin. Or maybe the struggle with temptation wears down our self-control, or we become desensitised to the thought of cheating. The job of psychological science is to distinguish between explanations, and Daniel Effron’s team developed a method that argues against these, in favour of an alternative that’s based on “anticipatory regret” or the fear of missing out. 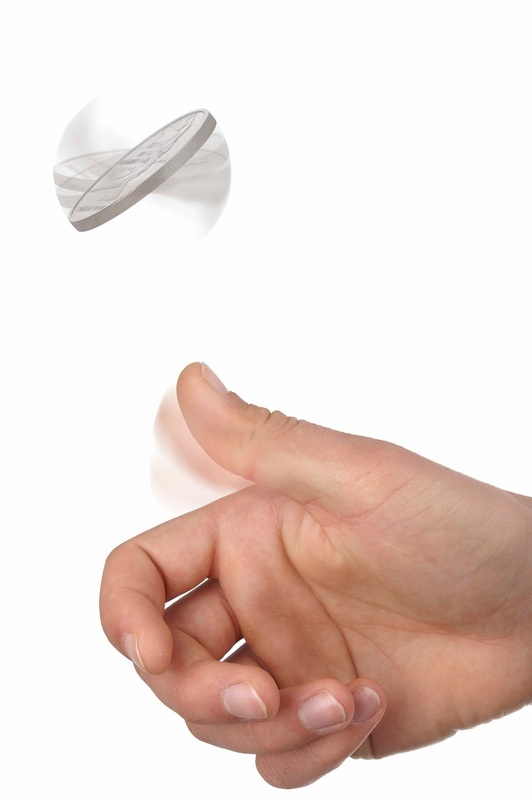 Participants sat alone in a room and tossed a coin 13 times, supposedly as part of an experiment on psychokinesis (the ability to control objects with the mind). Before each toss, participants predicted whether the coin would land heads or tails and then they recorded the outcome themselves using a computer. They were told each “correct” toss would earn them 10 cents. Crucially, the experimenters made it clear that they were depending on the participants to honestly report their successes. So, cheating was both possible and profitable. The researchers looked for signs of cheating, not in any one individual, but by examining average performance across all 847 participants. For any given toss, when the group’s average success rate exceeded the 50/50 success rate you’d expect based on chance, this was taken as a sign that cheating was at play. Effron’s team were particularly interested in the success rate on the seventh coin toss. 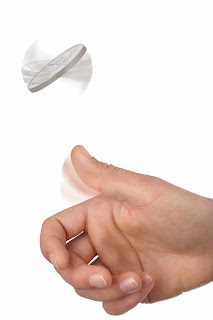 They’d told some participants they would have 13 tosses in total: their seventh toss had a similar success rate to the previous six, at around chance. This suggests that the first six tosses hadn’t eroded willpower, or built up moral credits ready to be cashed in. By contrast, the researchers had told other participants they would only have seven tosses of the coin. What was striking was that these participants appeared to cheat more on the seventh toss, collectively achieving significantly more successes than would be expected based on chance. This result suggests it wasn’t the build-up of prior events that mattered, but the fact that this seemed to be the final opportunity… and if they didn’t act now, they never could. Indeed, when these cheating participants were informed there would in fact be more tosses to follow, their honesty suddenly popped back up on toss eight and onwards. This suggests their willpower hadn’t been used up, nor were they desensitised to cheating. The researchers also conducted a meta-analysis taking in data from this experiment, a further replication, and other work, with the overall results suggesting that we are three times more likely to cheat at what we believe to be the final opportunity than at any other time. This may remind some of you of research using the “Prisoner’s Dilemma” economic game, which shows that “defection” or mistreatment of others rises towards the end of a period of interaction. But as Efron’s team notes, that pattern is due to the to-and-fro of the game: if I swindle you at the start of our interaction, I can expect the same from you every time. Here, there was no ongoing interaction and so no reason why cheating on trial one or seven should have any different consequences. So this "cheating at the end" effect isn’t about how others treat you, but how you expect to feel about yourself. The authors conclude that knowing when cheating is likely to occur – on the last day of a period where a work supervisor is absent, for instance – could be useful in organising the timing and targeting of anti-cheating strategies, such as reminding people of moral standards just before a “peak time” period.